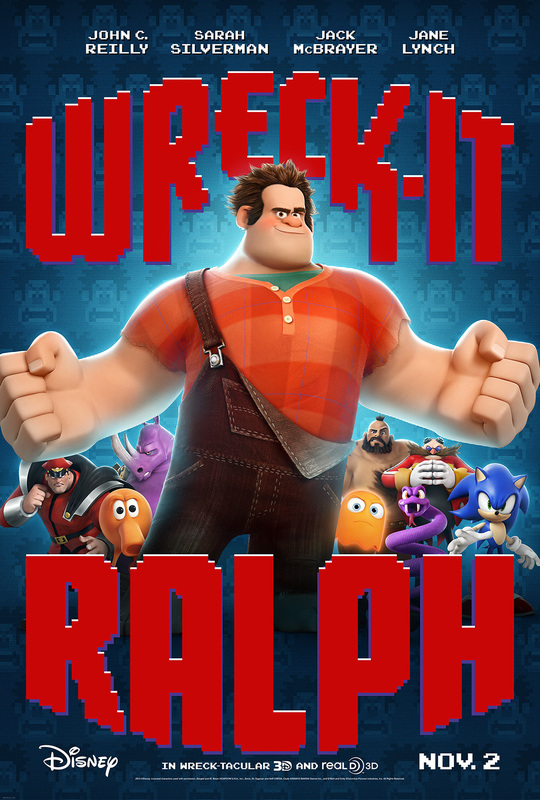 Wreck-It Ralph teaser poster (2012) | 'TAIN'T THE MEAT… IT'S THE HUMANITY! 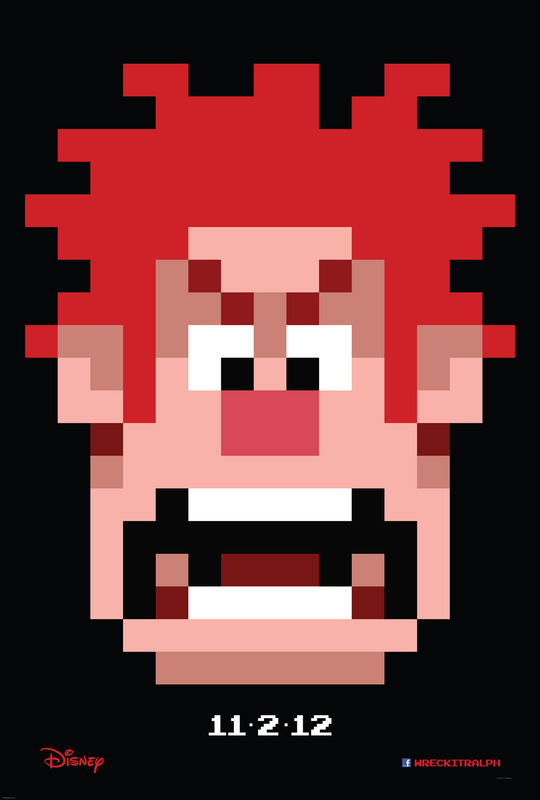 I’m still in a movie teaser poster mood, so here’s a great one from 2012 – Wreck-It Ralph. 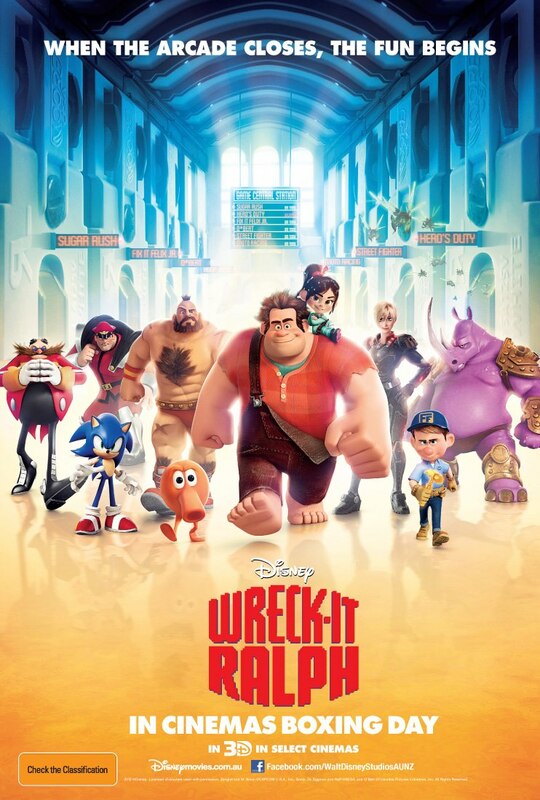 The poster was released to promote the 52nd film in Disney’s Animated Classic series of movies, and featured the large pixellated face of Ralph, the ‘villain’ of an arcade video game who tires of always playing the bad guy, and dreams of becoming a hero. The movie features a great selection of arcade and home console characters in a film that both pays homage to, and celebrates, the genre of classic video games. Apart from Ralph’s angry face the only other adornments are the film’s release date (pixellated, of course), a Disney logo and the movie’s Facebook page. The poster is bold, simple and eye-catching – a perfect teaser poster. The film starred the voice talents of John C. Reilly (as Ralph), as well as Sarah Silverman, Jane Lynch, Jack McBrayer and Alan Tudyk. The film, directed by Rich Moore (who went on to direct Disney’s latest animated blockbuster Zootopia), was a hit and a sequel is in the works.